In this Jan. 27, 2018 file photo, Iggy Azalea attends the Roc Nation pre-Grammy brunch at One World Trade Center in New York. The artist announced Sunday her upcoming Bad Girls Tour has been canceled. 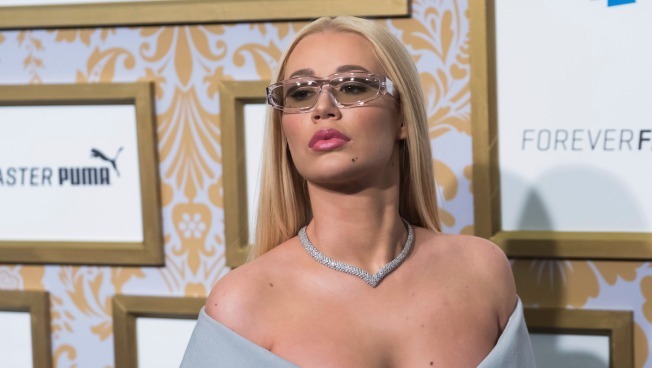 Iggy Azalea's upcoming Bad Girls Tour has been canceled "due to unforeseen circumstances," according to Live Nation. The artist's five-week, 21-city tour had been set to kick off Oct. 27 in Hollywood, Fla., and end Dec. 4 in Houston, with stops in L.A., New York and Washington, D.C. Without going into detail, Azalea confirmed the news via Twitter Sunday. "Believe me, I was really excited for this tour, and I'm genuinely disappointed it can't happen this year. The choice was out of my hands and not call to make. I hope I will get to see you all in person one day. I love you," she said. "All I can do is keep pushing, keep recording and keep a smile on my face." "This event has been canceled. Refunds at point of purchase only," a spokesperson for Ticketmaster added. "Internet and phone orders will automatically be canceled and refunded." Originally, CupcakKe had been set to open for Azalea. However, on Oct. 2, the Chicago rapper told her fans she would "no longer be able" to hit the road with her, tweeting she's "grateful for the opportunity" and will embark on a solo tour when her album drops. CupcakKe later said she "went from getting paid 330K on this tour to 30K," but didn't fault Azalea. "It was the ones that put it together! Iggy knows I love her. I just need that bag in full," she tweeted. The Bad Girls Tour would have been Azalea's first time headlining in four years. The "Fancy" rapper pulled the plug on her Great Escape Tour in 2015, telling fans at the time, "I'm so sad and sorry to let my fans down...We'll be back out on the road when the next album is done." The tour had originally been postponed for five months, Azalea said, due to production delays. Azalea has not released a full-length album since The New Classic in 2014. Her fourth EP, Survive the Summer, was released over the summer, led by the singles "Kream" and "Tokyo Snow Trip."